The last thing anyone wants in their home, apartment, or workspace is pests. An inconvenience at best, usually disconcerting, and at times a health issue, dealing with pest problems must be done quickly and effectively, so they don’t ever come back. At C&T Rodent Control Exclusion & Pest Control, we have the best solutions for getting rid of rodents, black widows, ants, insects and bees. Not only will we exterminate, but we will clean up, sanitize and proof your home or office space against future invasions. 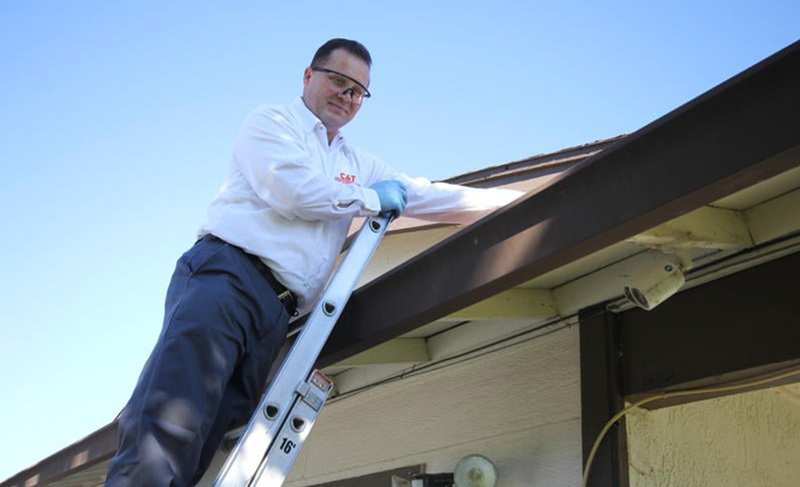 With over 25 years in the industry, we are a leader in the Walnut Creek pest control industry and have a passion for helping people feel safe again on their own property. With each new pest comes a new technique for efficient extermination. Rodents or insects, our tried and true methods have been working to eliminate any pest and prevent to the best our ability, their return. Rodents are fast-breeding, and tough to get rid of. You may have tried repellants and live traps, but at a certain point extermination is necessary to prevent further breeding. The common house mouse is small but can cause as much damage as a rat, and is just as much of a health concern as well. Especially if you see mice in your home or office during the day, it is likely you have an infestation. 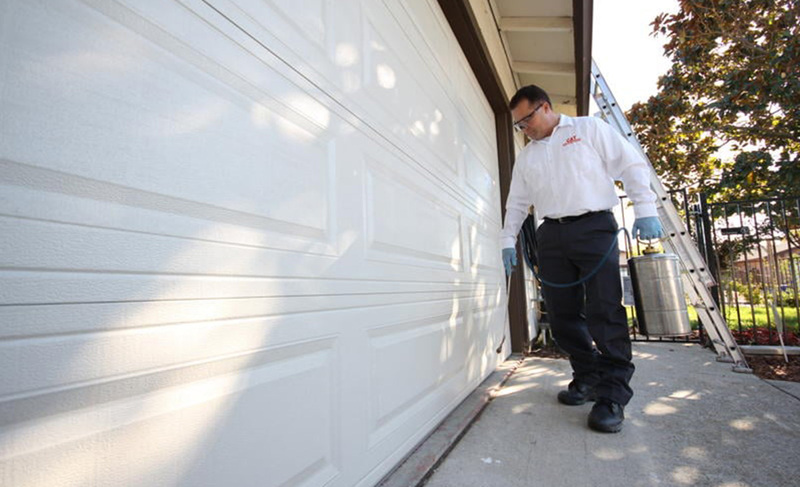 Most Walnut Creek homeowners whose homes become infested with insects are concerned about the cleanliness of their property. However, cleanliness rarely has anything to do with it. Some bugs will invade no matter what. 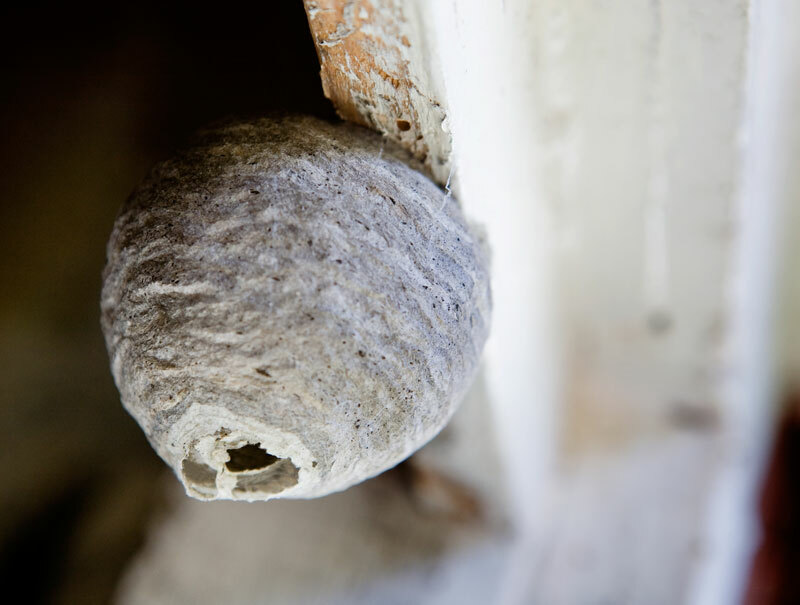 As a reputable pest control company, when one of our exterminators deals with an insect infestation, you won’t need to worry about the environmental impact of our treatments as we focus on low impact pesticides. There’s always going to be a few people out there who believe they’re capable of dealing with a rodent or insect infestation all on their own. While you may be able to stave them off for a bit, unfortunately without professional assistance you’re likely to prolong your own suffering. For example, bug bombs for bedbug treatment simply scatter the bugs around your home, making the infestation more widespread. Not to mention, the overlapping of products can make ours less effective. 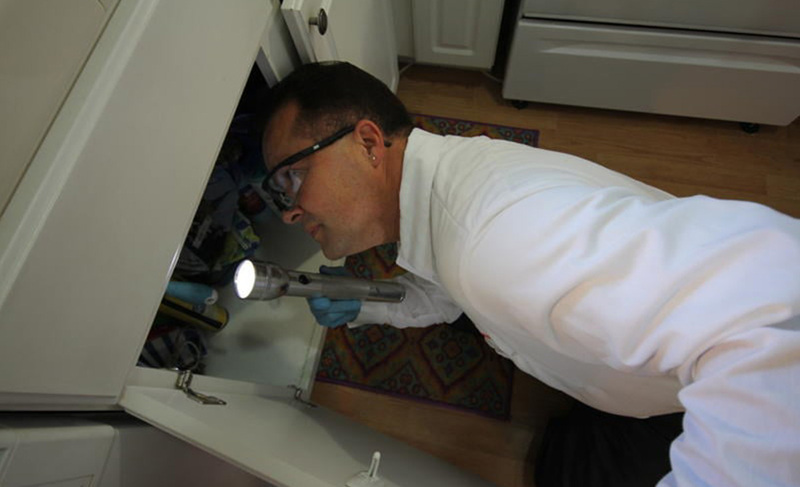 While pest control can be a team effort, it’s best not to take everything upon yourself. However, we do appreciate it when clients take our advice when it comes to preventative measures. You don’t want to have us back a second time, so we do our best to make sure we don’t. 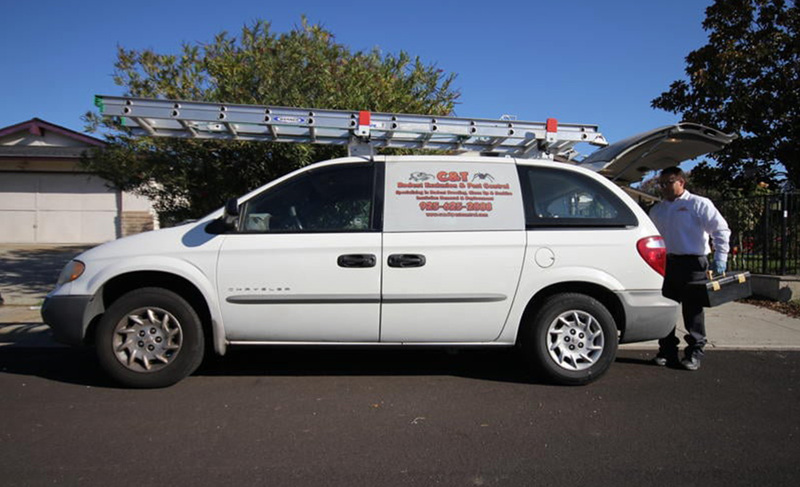 At C&T Rodent Control Exclusion & Pest Control, we’re in the practice of providing cost effective options to help you sleep at night. 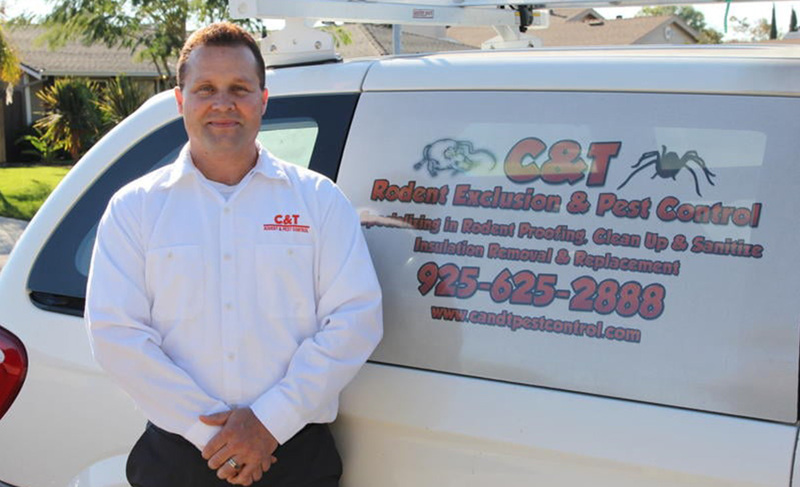 At C&T Rodent Control Exclusion & Pest Control, our promise to you is that your pests will get out, and stay out. We won’t damage your furniture in the process, and we’ll use environmentally friendly options. With over 25 years of experience, our professional team will help you to feel comfortable again, guaranteed.